Home / Pest Fighting / Bed Bug Traps – How Effective Are They? Bed bugs are a real problem and have been affecting hundreds of thousands of American citizens. Weirdly enough, the scientists are working as we speak on new methods to trap the annoying bloodsucking creatures. Are the homemade traps more efficient? Do some of the traps out there work better than others? Can we even talk about the efficiency of the bed bugs traps? Have you used interceptor cups on the furniture just yet? Did you use a mattress encasement system? Do the bed bugs trap work? What can you do for better results? It was only a while ago when a trap formulated on sugar, water and yeast created quite a stir among the scientists and the regular people too. It was only a matter of time until the yeast homemade bed bug trap recipe started to become a hit, especially thanks to the bloggers who praised it. It seems that the carbon dioxide exhuded by humans is the main “attraction” for the bed bugs (and any other blood-sucking creature). After all, this is the reason for which the mosquito carbon dioxide traps work too. In a nutshell, this homemade trap may give results and we’re still waiting for the commercially successful bed bug trap that is going to have the same impact as this one. One thing to know when you’re dealing with bed bugs is that you’re not going to be able to spot them, unless they’re feeding. Unfortunately, we do exhale carbon dioxide when we’re sleeping, so that’s when they come out. Interceptor cups are made so that they trap the bed bugs as they’re trying to move from the hiding place to the place they’re feeding. So, the interceptor cups work as traps too. The main idea behind interceptor cups is that bed bugs are able to move over textured or rough surfaces, but they’re not able to climb any smooth surfaces. The cups include a smaller inner container and a larger container on the outer part. Bed bugs are going to enter the traps, but they’re not going to be able to leave them. You should place a trap as such under each bedpost (or each leg of the piece of furniture that you think is infested) and trap the bed bugs during your sleep. You can go with a commercially manufactured trap, or you can make your very own interceptor trap. Some plastic food containers, masking taped and car polish/talcum powder are going to work very well. The interceptor cups are in fact amazing traps to monitor your furniture when you’re suspecting an infestation. It’s going to help you actually see the bed bugs and decide what to do next. However, this trap doesn’t catch the bed bugs that are already on the same side of the trap as the host. Keep in mind that most bed bugs are going to hide on the headboard and …the mattress. The mattress encasement system includes a vinyl/polyurethane-lined fabric cover that you may use for your mattress or box spring. The system is made so that it traps any bed bugs that may live inside your bed. It actually makes them starve, creating this impermeable barrier against any bed bug trying to infest your bed. Why use the encasement systems? You should use the encasement system simply for monitoring the whole situation. It’s a good trap to use for identifying the bed bugs on the surface of your cover as it takes care of the seams and crevices that bed bugs typically use for hiding. The mattress encasement systems are easy to find at major retailers and even pest control services sell their systems. It may cost you $20-$40, but it can also go up to $600. What to look for on a system like this? Not all mattress encasement systems were created equal so there are some small details that make the difference. The cover has to be breathable, waterproof and comfy enough for a good night sleep. It needs to be “bite-proof” and you should be able to get all the info you need about the materials used for it. Remember to check the zippers really well as you don’t want any beg bugs to escape the encasement. A zipper that doesn’t close tight enough or fully is a big no in this case. You need zippers that lock in place once closed so that you have no reason to worry about. 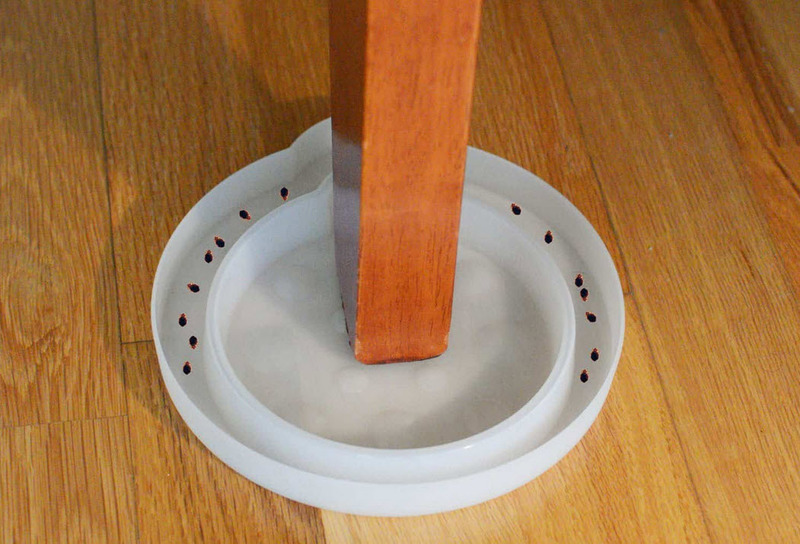 Some think that the DIY bed bug traps are an easy and cheap way to get rid of the bed bugs. However, the traps are useful only for detecting the infestation, monitoring the bloodsucking creatures and for stopping them to reach you. Truth be told, they’re a great tool for determining if a room is infested with bed bugs, but it’s not going to eliminate them per se. Bed bugs do breed pretty fast and the risk for a small infestation to turn into a massive one is really high. You may trap some of them every night, but you’re not going to be able to catch all of them. You know that your house is bed bugs-free only when the very last of them is killed. A new infestation may start with just one pregnant female as she can lay even up to 500 eggs in her life. A trap is going to work for 8 hours, give or take. You’re going to have to refill the trap or to dispose of it the very next night. Nevertheless, there are traps that work as active and passive monitors for longer time. Some may work for 24 hours, whereas others are going to stay efficient for 90 days. Most of them are based on CO2 and may emit CO2 for longer time than the DIY traps. Truth be told, the most annoying part about the bed bugs is the biting. After all, it’s the first sign that you may have bed bugs in the first place. However, a homemade trap (or any other kind of trap) isn’t going to stop the bed bugs from biting you. No trap is going to guarantee that the bed bugs aren’t going to get to you and feed on you. If you really want to eliminate them, you should take steps to actually treat the bed. This is where the aforementioned interceptor traps are going to be useful as well. So, a combination of a trap and a more aggressive method is going to help you in the end. The famous DIY trap works as it emits carbon dioxide through a chemical reaction, since the sugar is going to be broken down. As bed bugs come to carbon dioxide, we can say that the trap is going to attract them. Let’s not forget, though, that the most impressive carbon dioxide attraction for the bed bugs is, in fact, you. Not only that you breathe out more CO2 while you’re sleeping, but you’re also attracting them with the “tasty” body heat. No bed bug trap is going to be able to do that- not the majority of them, anyway. Even if a DIY trap is going to work in a laboratory environment, it may be pretty useless when it’s placed inside a room with a sleeping person. After all, wouldn’t you be more interested in the bigger and tastier source of food too? The bed bugs traps aren’t the best way to monitor the bed bug activity in an unoccupied room. You should do due diligence and find the better options. We’re talking about the monitors especially designed for bed bugs and backed by the entomologist’s. Having said that, using the interceptor traps is going to help you see exactly what you’re dealing with in your bedroom. 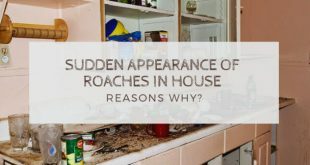 The human lure is the no.1 feeding source for the bed bugs and the whole situation becomes even more attractive with all that yeast and sugar trap. Once you’re going to install the interceptor traps, at least you’re not going to have to worry about the bites as the bed bugs are going to end up in the perimeter pitfall of the trap, without being able to reach you. In a nutshell, not only that you’re monitoring the bed bug activity, but you’re actually stopping the biting and the breeding cycle. When it comes to bed bugs, you cannot afford any shortcuts. No single product, trap or any other method is going to solve the infestation problem completely on its own. Bed bug infestations are no easy job to counter and the only way to eliminate it is to use a powerful combination of products and treatment methods. Sure, some sugar and yeast is going to have some sort of efficiency, but it’s definitely not going to eliminate all the bed bugs from your room. Because you’re going to need to eliminate every single one of them to make sure that your house has become, at last, bed bug-free.